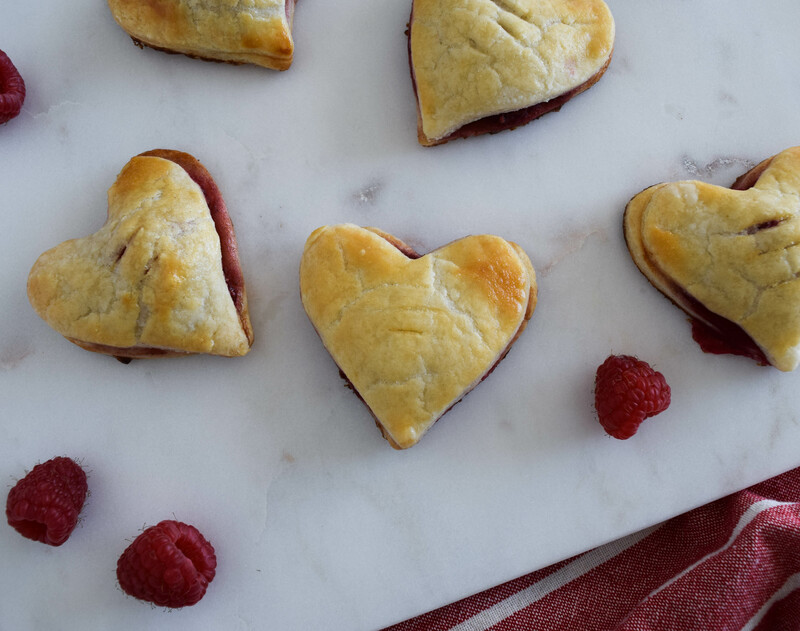 Raspberry Hand Pies make perfect Valentine’s Day gifts for everyone in your life. 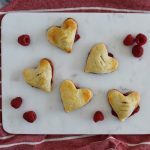 The crust is light, flakey and absolutely stuffed with juicy raspberries. 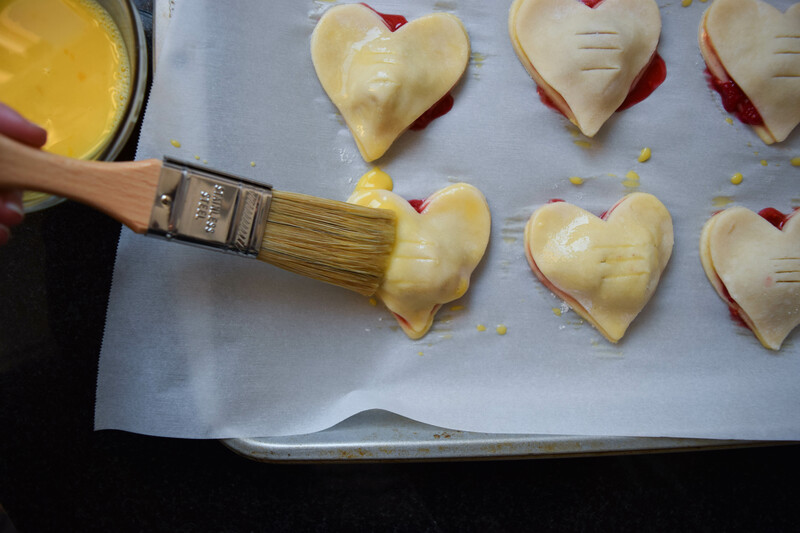 With the help of a food processor and heart cookie cutter, this recipe comes together in a flash. Give some to someone special today and spread the love. First make the crust. 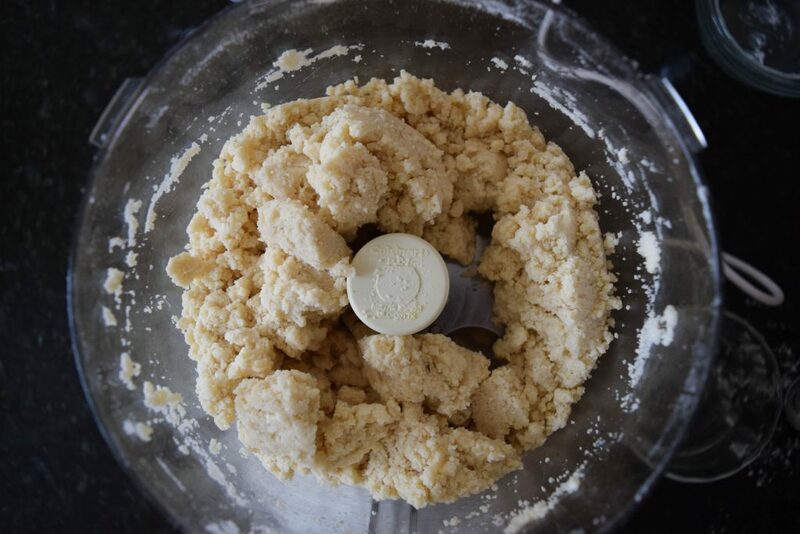 Place the flour, salt, and sugar in the bowl of a food processor. Pulse a few times to combine. Add the cubed butter and pulse until the butter is the size of peas. With the motor running, stream in the water until the dough starts to come together. Turn the dough out onto a floured work surface. Divide into two equal portions and flatten them into discs. Wrap each disc in plastic wrap and chill in the fridge for 1 hour. While the crust dough chills, make the filling. 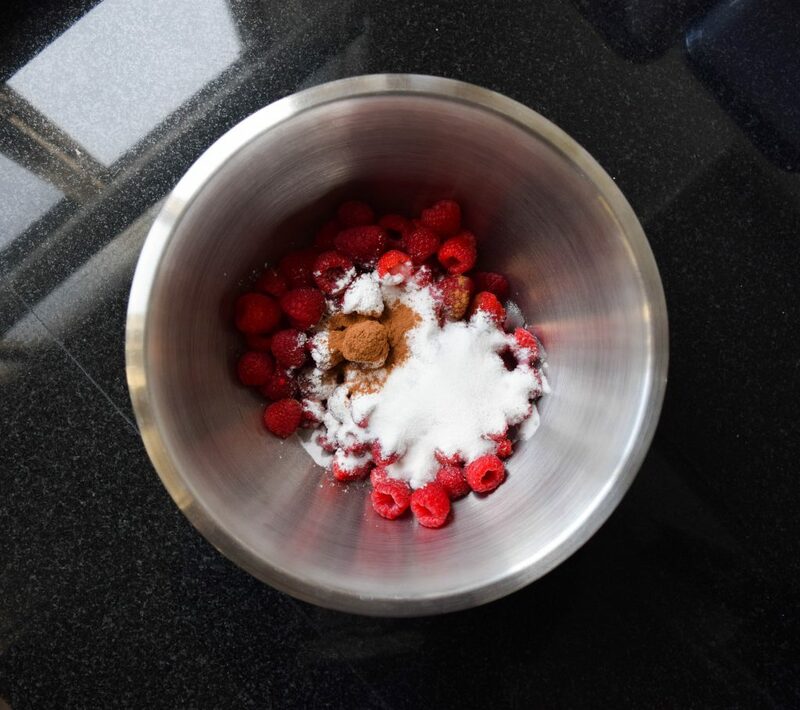 Place the berries, sugar, cornstarch, cinnamon, and salt in a medium bowl. Toss until the berries are completely coated. 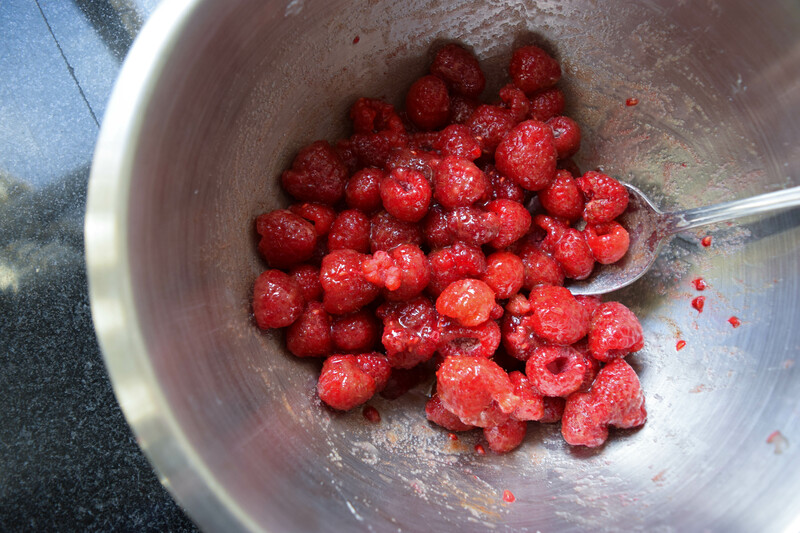 Mash the berries slightly with your spoon. Let the mixture sit for 30 minutes. Working with one disc at a time, roll the dough out until it is 1/4 of an inch in thickness. Using your cookie cutter, punch out as many hearts as you can. 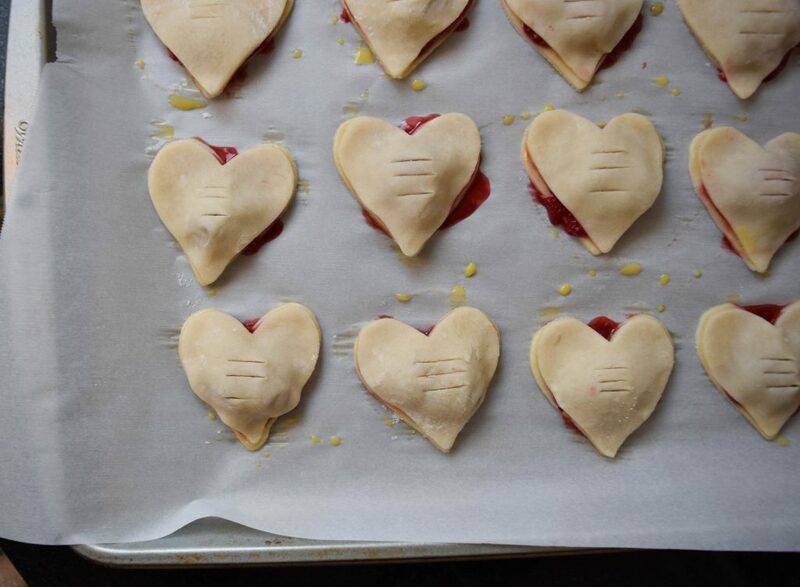 Gather and reroll dough scraps and punch out more hearts until you have between 25 – 30. Use these as bottoms. Repeat the rolling and cutting process with the second disc of dough. Make sure to cut the same amount of tops as you have bottoms. Place the bottom hearts on a sheet tray lined with parchment and top with a scant tablespoon of filling. Run egg wash around the rim of the bottoms. 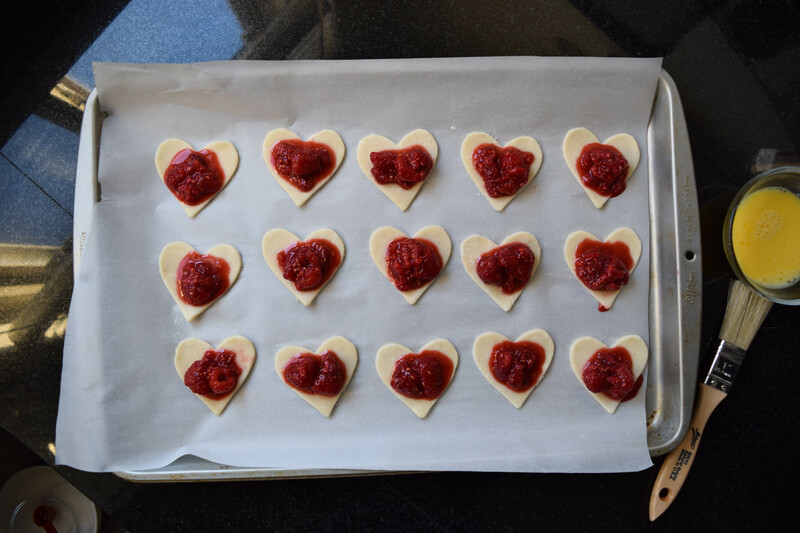 Place the tops over the raspberry filling and press the dough edges together sealing the sides as best you can. Cut slits in the top. Brush the tops of the pies with remaining egg wash. Place in the preheated oven and bake for 30 – 35 minutes until the crust is lightly golden and the insides are bubbling. Allow to cool before packaging and giving as a gift or eating yourself! 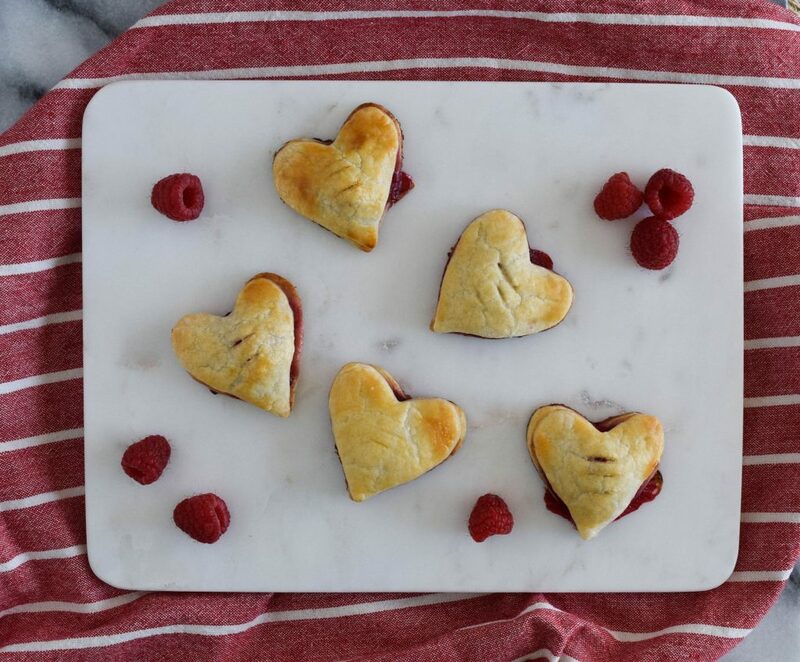 Raspberry Hand Pies make perfect Valentine’s Day gifts. The crust is light, flakey and absolutely stuffed with juicy raspberries. 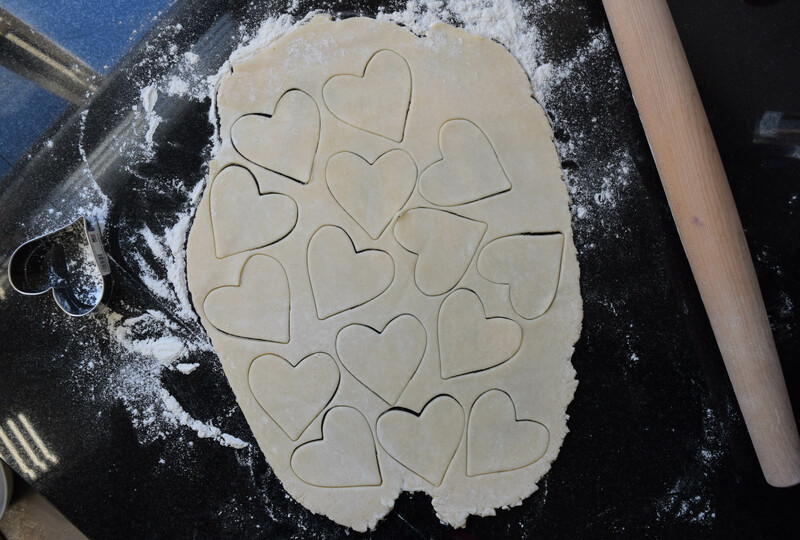 With the help of a food processor and heart cookie cutter, this recipe comes together in a flash. 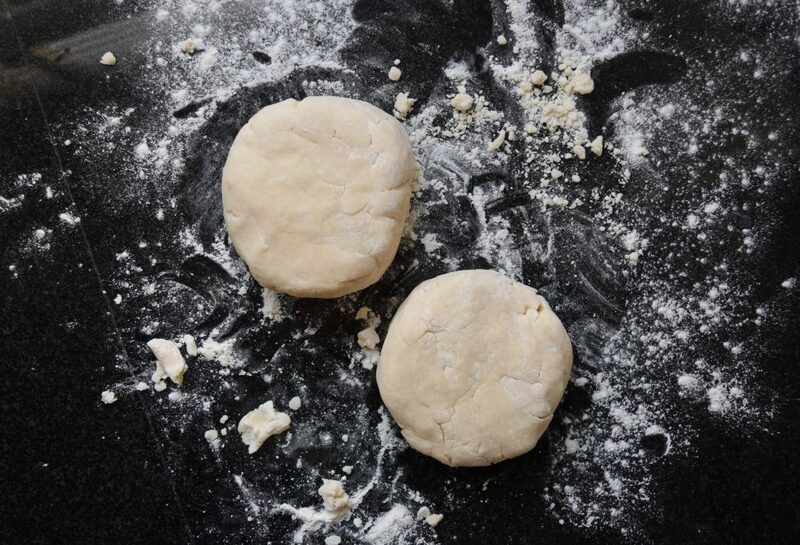 Working with one disc at a time, roll the dough out until it is 1/4 of an inch in thickness. Using your cookie cutter, punch out as many hearts as you can. Gather and re-roll dough scraps and punch out more hearts until you have between 25 -30. Use these as bottoms. Repeat the rolling and cutting process with the second disc of dough. Make sure to cut the same amount of tops as you have bottoms.